Croteam have hired writers Tom Jubert (FTL, The Swapper) and Jonas Kyratzes (Infinite Ocean) to deliver the story. I am pretty excited that they brought in Tom Jubert as I am a fan of his work in The Swapper. 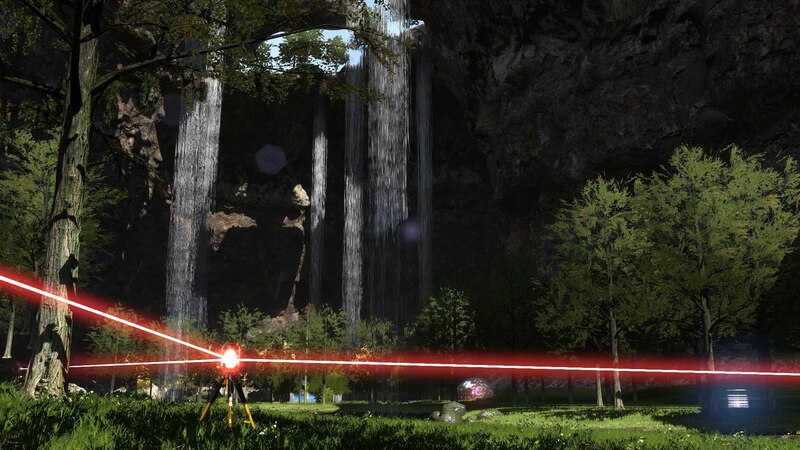 The Talos Principle will be built on the latest iteration of the Serious Engine so you can expect the game to look pretty good in terms of visuals. Croteams last game Serious Sam 3: BFE looked great running on an engine older than the one The Talos Principle will be running on. There is not much information of the game other than it is a FPS puzzle game. The teaser trailer and the track record of Croteam is enough to get me excited about this game. The Talos Principle will be released later this year on PS4 and PC.